For some time, my boot process is taking too long (almost 1 min.). I think my swap is encrypted, and I also think the UUID in /etc/initramfs/conf.d/resume does not correspond to any device. Should I disable resume/suspend? and how to do that? Ok, I found the solution, thanks to Sudhanshu's comment. To disable this (as resuming from swap is not possible with an encrypted swap, and I don't use hibernation anyway), I modified this file: /etc/initramfs-tools/conf.d/resume. (instead of the UUID that was here) will disable waiting for a resume device. None of those solutions above or elsewhere worked out for me but I have found a solution which reduces my boot time to 40 seconds from 2 minutes and 10 seconds. I used to create and remove swap partitions and somehow these logs stayed in etc/fstab file. So my system was trying to mount those previously created swap partitions which no longer exists. So please let me explain what I did step by step. 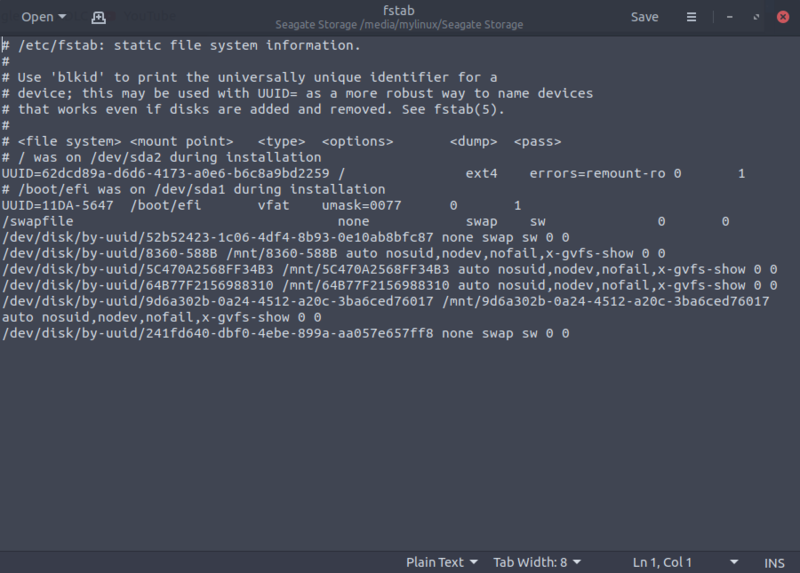 I ran this command sudo blkid | grep swap to find out my swap partitions. There was two but one does not actually exist (it does not refer to any of my partitions). Then I realized there are so many swap files which I had deleted but somehow resumed existing in this file. So I referred to step 1 and deleted partitions which no longer exist. Please see two before & after /etc/fstab file screenshots. After this cleanout everything's working as normal. I also saw this in Linux Mint (based on Ubuntu), and spent some time working out what was going wrong. This happens if your system is installed on LVM and is using an LVM volume as the swap disk. I got this problem after installing 2 different linux distros. Somehow, on one distro, the swap partition got another UUID assigned to it then expected. 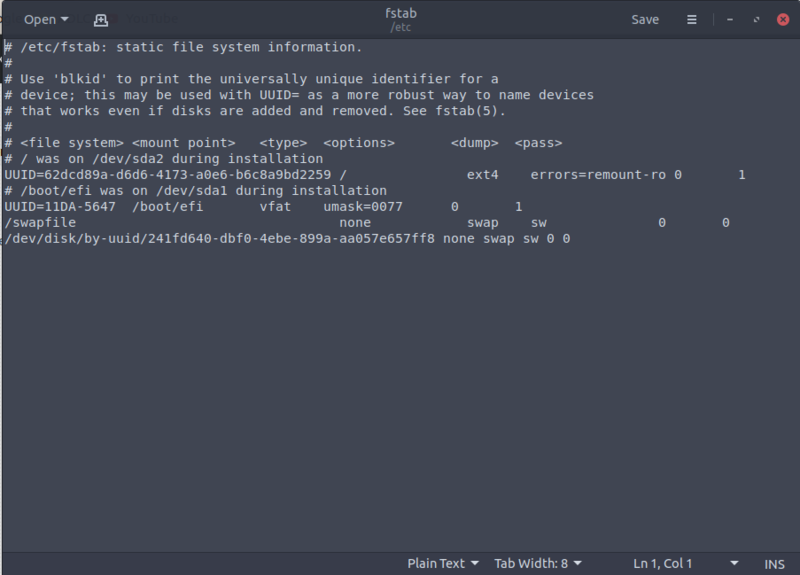 My solution was to: First, run sudo blkid to get the right UUID for the swap partition. Copy the UUID of the swap. Paste it in /etc/initramfs-tools/conf.d/resume so you get RESUME=_the_correct_UUID_. Now run sudo update-initramfs -u to apply this change. 18.04 delayed boot - which device?